Situated on the beautiful Isle of Palms, just north of Historic Charleston, South Carolina, Wild Dunes Resort is a top class beach, tennis and golf resort with outstanding on-site facilities and amenities as well as a wide range of quality self-catering accommodation. There are two top class golf courses on-site. The more renowned Links course will test you with it’s tiny greens and boasts two finishing holes situated right along the ocean shore but in our view the Harbor Course is the more picturesque with views of the Intracoastal Waterway and coastal salt marshes. Both courses are an absolute joy to play. 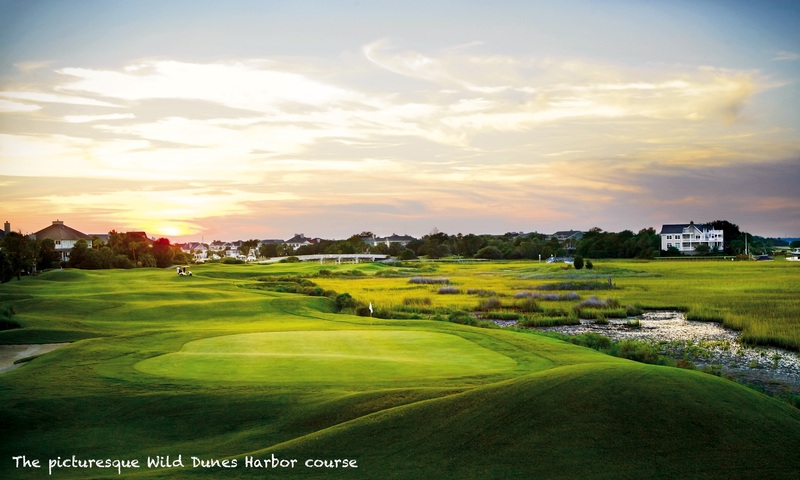 Long stay Guests can take advantage of the temporary golf membership program at Wild Dunes Resort. Membership is paid monthly and then there is a nominal fee to pay when you play. There are a wide range of 1, 2 and 3 bedroom villas, apartments and homes situated around the resort with resort, golf course and ocean view options. All homes and villas are privately owned so bed configurations and furnishings vary but all are generally maintained to a very high standard. Our long stay packages are for a minimum of 28 days. We have the full range of accommodations available to us on the long stay program so we can provide solutions for everything from couples to large family groups. A collection of guestrooms, studios, one to three bedroom suites and penthouses, The Village is at the center of all Resort activity and a short walk from the beach. Identically-furnished rooms and connecting multi-bedroom suites provide flexibility and are complete with Four Diamond amenities and impeccable service. Just below you’ll find The Village Plaza with a grocery market, salon with spa services, fitness center and The Lettered Olive Restaurant and Lounge (open seasonally). Views vary. Sand & Sea Salon with Spa Services at Wild Dunes Resort can have you looking great and feeling even better. From manicures and pedicures to massages, facials, and body scrubs – any service in our relaxed island ambiance will leave you feeling balanced and calm. Take holistic steps towards overall wellness with a diverse group of programs including yoga, fitness training, sports training, golf and tennis instruction or even nutrition consultation. For those looking to work out there is also a large, well equipped fitness centre. There are a number of dining opportunities on the resort. Sea Island Grill & Lounge, tucked inside the Boardwalk Inn is the resorts premier fine dining restaurant. Truffled Popcorn Scallops, Moonshine Tuna and Breach Inlet Clams are just a sample of the inspired dishes. The bar and lounge includes an excellent selection of craft cocktails, wines, craft beers and locally brewed beers. Open daily for breakfast, lunch and dinner. The Lettered Olive Restaurant & Lounge, on the Village Plaza, offers a variety of comfort foods in a jovial atmosphere. Pair meals with a refreshing island cocktail, draft beer or something from their user-friendly wine list. Reservations recommended. The Sand Bar is a relaxing restaurant located in the Links Clubhouse and serves traditional southern favorites such as Shrimp & Grits, Pimiento Grilled Cheese and a Buffalo Chicken Sandwich. The Sand Bar drink menu includes beer, wine and southern cocktails. Open daily for breakfast and lunch (with Sunday brunch specials). Hudson’s Market offers deli sandwiches and refreshing beverages. You’ll find a nice selection of wine and beer, cheeses, oven baked cookies and brownies, fresh fruits, veggies and other treats to bring back to your room or condo. Located on The Village Plaza. Open daily. Dunes Deli, grab ‘n go cafe with an Italian flair serves a hot breakfast and satisfying lunch. Start your day with a tempting Dunes Deli biscuit sandwich and fresh brewed coffee. For lunch, enjoy pizza, hot deli sandwiches, Italian-style nibbles or one of our fresh salad selections. Open daily. The Grand Pavilion Café & Bar is a guest favorite located just at the end of the boardwalk. Here, you can enjoy al fresco bites. The menu is decked out with island favorites like popcorn shrimp, crab rolls and healthy choices like crisp salads and wraps. Open daily during the spring and summer, this is the perfect place to enjoy a slushy, tropical drink, frosty beer and a refreshing ocean breeze. Just off the resort down by the marina is one of our favourite spots. Morgan Creek Grill offers unparalleled panoramic views of the Intracoastal Waterway and surrounding Lowcountry marshes from the waterfront dining room and upper level bar. Fresh seafood, choice steaks and creative appetizers are offered with Southern hospitality in the main dining room nightly which features floor to ceiling windows. The Upper Deck at Morgan Creek offers casual open air dining on the rooftop with expansive views of the Marina and waterway and a creative, casual lunch and dinner menu. 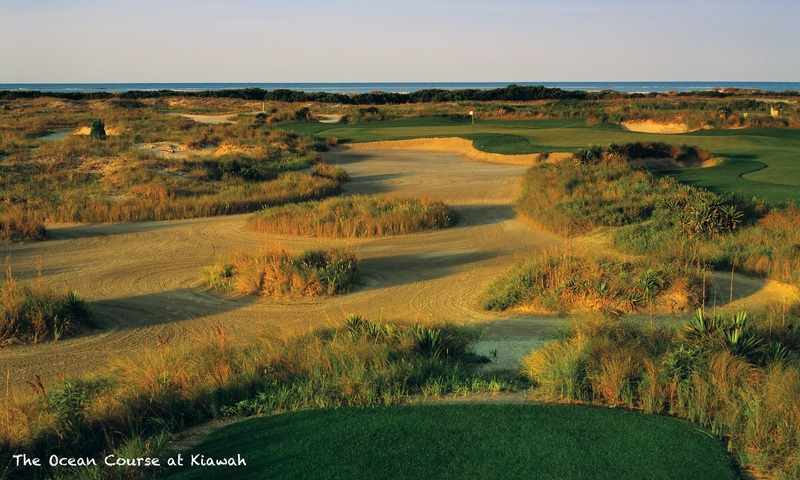 Wild Dunes is a highly rated tennis resort. Guests receive complimentary court time on the 17 Har-Tru tennis courts (5 floodlit), while there is also a full service tennis pro shop. As you would expect from a large beach resort there are several pool complexes. The Grand Pavilion features two identical pools overlooking the ocean and a cafe and bar with poolside snacks and frosty beverages. The Swim Center Pool is an outdoor heated pool featuring lap swimming and open recreational swimming. Located next to the Village at Wild Dunes, Palm Cove pool features convenient zero-entry access, a poolside bar and grill and lawn for outdoor games. Explore the links below to find out more about our Winter Long Stay Holidays.